Reward Manor is a lovely double-story family house situated in Oslo Beach. 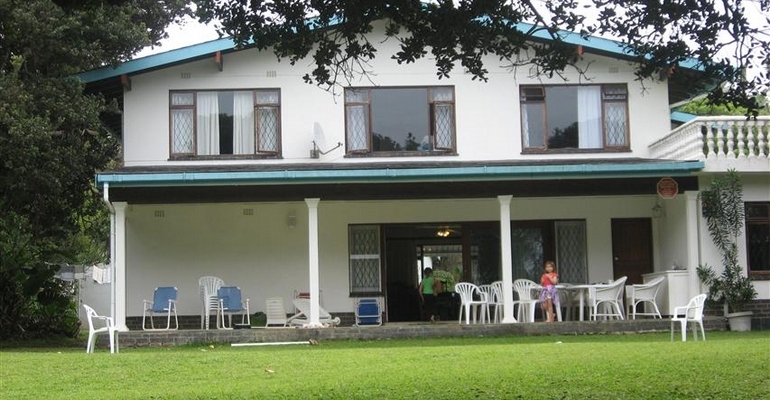 This holiday house has 5 bedrooms and can sleep up to 10 people. It has direct access to the beach from the front lawn. The beach is child friendly with rock pools for little ones to play in and and there are bays which are popular for swimming. It is also a favourite spot for fishermen. Reward is a restful place to "recharge your batteries". The house has a large undercover verandah facing the beach and there is an outside shower in the garden. The open plan lounge and dining room area is comfortable and spacious as are the bedrooms.